Rock House B&B is a charming, former 1920’s Victorian school building which has served as a B&B for the last 30 years situated just outside of Maidstone town centre in Kent. All guest rooms include TVs, under counter fridges and tea & coffee making facilities. Free WiFi is available throughout the hotel and we also stock a selection of toiletries in case of forgotten items. Breakfast is served daily between 7 am – 10 am and we offer a full English breakfast with sausage, bacon, fried/scrambled/poached egg, grilled tomatoes, beans, hash brown and mushrooms with a variety of cereals, bread, yoghurts, preserves and fruit juice also available. We also serve a selection of hot, home cooked meals in the evening for our guest’s convenience. Rock House has a lovely garden behind our breakfast room, sporting a magnificent magnolia tree, the perfect location for reading a book or chatting with friends in the sun. Maidstone hosts a wealth of things to both see and do with fantastic shopping at Fremlin Walk and Maidstone Market, fabulous food and drink crafted from local produce, a calendar of great events and unique experiences to be had for all ages, few places in the South East provide quite as much to see and do as Maidstone. Enjoying a secluded location over looking Alsop Dale only 1.5 km from the upper reaches of Dove Dale, Peak District Spa Bed and Breakfast lies within the heart of the most spectacular limestone scenery of the Derbyshire Peak District National Park, in between the picturesque villages of Bakewell, Tissington, Hartington, Parwich and Alsop-en-le-Dale. With its own landscaped gardens, hot tub and cobbled parking area, Peak District Spas' bed and breakfast rooms offer luxurious Peak District accommodation in which to relax and unwind, directly in the heart of Derbyshire. Although not a spa in the conventional sense, Peak District Spa Bed & Breakfast takes its name from the heritage of the local spa towns populating the surrounding area, in a building over 100 years old, we have styled our rooms to a modern contemporary theme that closely relates to the ancient spa's of the past. 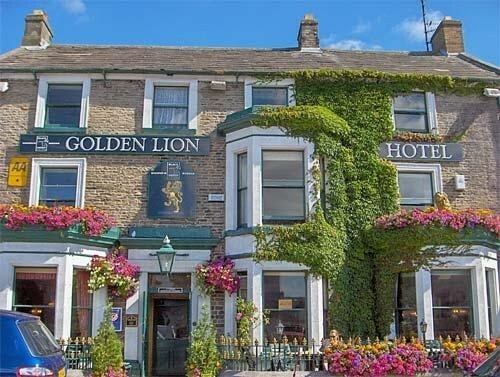 We are located within an ideal travel distance of all major attractions and places to see that make Derbyshire and the surrounding Peak District one of the most visited national parks in the world! 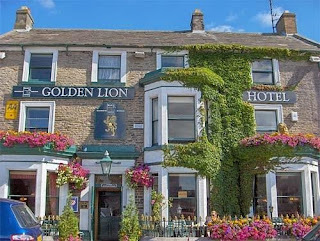 This beautiful grade II listed 1850's hotel is family run, offering a warm Dales welcome, locally sourced real ale and bar food. The restaurant offers a Sunday carvery and à la carte for a special meal out. Our 14 comfortable bedrooms are all en suite and most are large enough for families. There is also a function room available for special events such as an engagement party, birthday, or christening. All of our rooms and the bar are dog friendly and have free WiFi. The Red Lion is a former coaching inn situated in the centre of the village of Stretham near Ely in Cambridgeshire. Serving food at lunch time and in the evening, the pub has a great local bar, beer garden and a conservatory style restaurant. You’ll always be greeted with a friendly welcome. 10 miles north of Cambridge and 5 miles south of Ely on the A10, The Red Lion boasts 11 en suite bedrooms which are tastefully decorated and well appointed. The Kings Head is a friendly inn that offers a warm welcome and a relaxed atmosphere. In the oak beamed bar you can relax and enjoy a drink or meal at reasonable prices. We offer a hearty varied breakfast between 7.30am and 9am weekdays and 8am to 9am weekends. Early breakfast is available on request. All guests have their own key to allow access when the main entrance is shut. There is a public car park 25 yards away and on street parking nearby. Guests can if they wish park on our drive next to the inn. The entrance has restricted width access. We are conveniently situated and within easy walking distance to the city centre, cathedral and other attractions. Canterbury is also the home of Kent County Cricket Club and two universities. Victoria Spa Lodge B&B is an attractive Victorian 1837 building, originally built as a spa on the edge Stratford-Upon-Avon in Warwickshire. Queen Victoria graciously gave her name to the hotel and her coat-of-arms is built into the gables. The guest bedrooms are all en suite and include a flat screen TV, radio/alarm, hairdryer, hot beverage facilities and central heating. In the morning a full English breakfast is served. This bed and breakfast is close to all of the Shakespeare properties and just a five minute drive from theatres and restaurants. There are many places of interest close by such as Warwick Castle, Ragley Hall, Anne Hathaway's Cottage, Butterfly Farm and Swan Theatre. Carna Bay Hotel is situated on 'The Wild Atlantic Way' route in the heart of the West Connemara Gaeltacht and is surrounded by some of the finest scenery in Ireland. 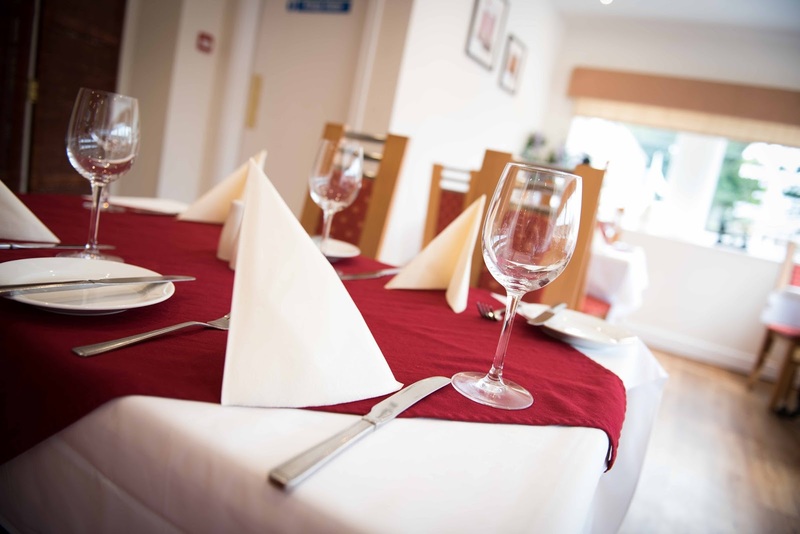 Our restaurant is open every evening, serving dinner with a choice of a la carte and table d’hote menus. Our menus offer the finest of fresh local seafood, delicious Connemara lamb and prime Irish beef, not to mention our famous homemade desserts and fabulous Irish or Bailey’s coffee’s. We also serve an extensive bar menu all day serving all types of dishes including fresh catch of the day, daily specials, vegetarian and kiddies menus. Located off the voast of Connemara the Aran Islands are must see/do when in Connemara. The Aran Islands are famous for their unique way of life and the panoramic views of Connemara. Dun Aonghasa is one of the most dramatic stone forts and all three Islands have beautiful beaches and breathtaking walks. The ferry for the islands leaves from Rossaveal and is a 40 minute drive, you can also fly with Aer Arann which is also a 40 minute drive away. Levante Guest House offers comfortable bed and breakfast accommodation situated in the heart of Scarborough, just a 5 minute walk from the local beach and nearby attractions. Each of our well appointed guest rooms are light and elegant and each benefits from en suite facilities, flat screen TV and tea and coffee making facilities. There is free WiFi access and an iron & hair dryer are available on request if required. After a peaceful nights stay, sample our extensive breakfast menu served each morning in our traditional dining room with all breakfasts served with a choice of either tea or coffee, orange or apple juice and a selection of cereals and grapefruit. Scarborough and the surrounding areas offer many attractions, events and activities for guests to enjoy during there stay. Guests can enjoy many activities that the local area has to offer such as an open-top bus service running along the seafront. Other nearby attractions include the Sea Life Centre, open-air theatre and Scarborough Castle.